American Horror Story: Freakshow Cast and Basic Storyline Revealed! 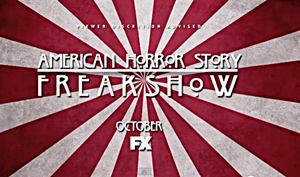 Home/Entertainment/American Horror Story: Freakshow Cast and Basic Storyline Revealed! The cast and creators of FX channels American Horror Story appeared PaleyFest on Friday and talked about Season 4’s entry AHS: Freakshow, its casting, and its basic storyline. Season four of the FX anthology will be set in Jupiter, Fla., in 1950 and will again star Jessica Lange. This time, the Emmy winner will portray a German ex-Pat managing one of the last remaining freak shows in the country.